Galvanic Current is a continuous current that flows in one direction and uses low voltage and medium amperage. It has dual polarity of a positive or negative charge. 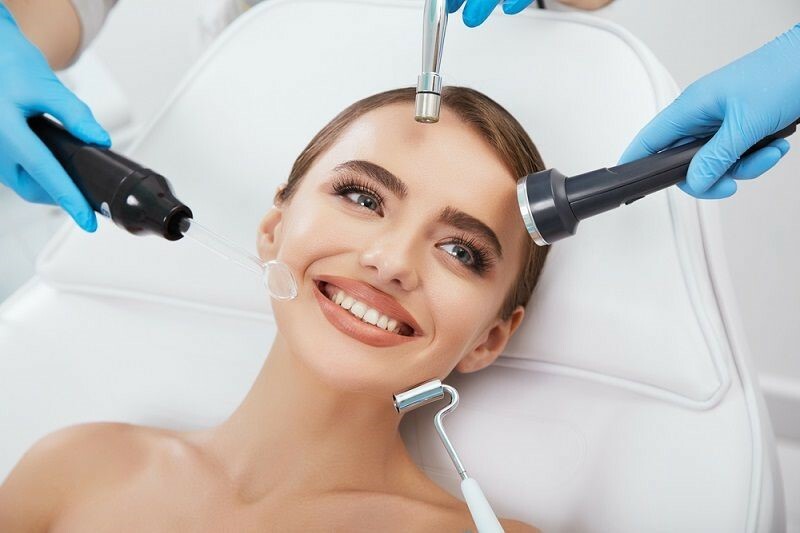 Galvanic Desincrustation is the use of galvanic current on the negative polarity pushing active substances into the skin for astringent or purifying purposes. Desincrustation helps soften tissues, open pores for deeper cleansing, dissolve sebum and ingrained dirt. It assists with increasing circulation, bringing oxygen, warmth and nutrients to treated area. Galvanic Iontophoresis is the use of galvanic current on the positive polarity pushing active substances into the skin for moisturizing, soothing, decongesting, and detoxifying purposes. Iontophoresis helps improve skin texture by tightening and firming, refines pores, reduces redness and soothes nerve endings. It helps drive active ingredients such as vitamins, antioxidants, and peptids into the skin resulting in deeper penetration beyond the superficial layer.